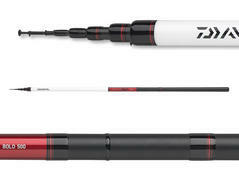 The Team DAIWA Trout Special spinning rods are especially made for classical fishing for trouts. A casting weight of 5-18g covers most of the common lures for trouts as spinners, spoons or plugs. 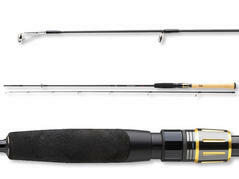 The powerful blank guarantees an optimal lure control even within strong currents and with heavy loads. Due to it’s semi-parabolic action, it also reduces the threat of losses of jumping salmonids during the fight. 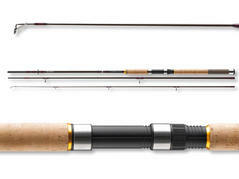 Premium components complete the appearance of these classically-modern rods perfectly. 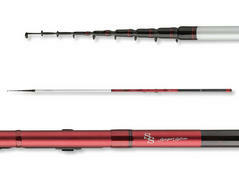 The Procaster series features very lightweight and well-balanced blanks with tip action. Depending on the casting weight, this series due to its sensitive action is perfectly suited for fishing with the sbirulino at ponds as well as for coarse fishing for smaller carps, breams or zanders.